Joe Bodiford, is a criminal defense EXPERT. He is a Florida Board Certified Criminal Trial Lawyer - that distinction is awarded to less than 1/2 of 1% of all Florida lawyers. 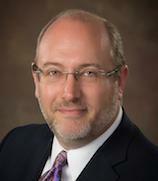 Mr. Bodiford is also Board Certified in Criminal Law by the National Board of Trial Advocacy. He is also AV* rated (the highest) by national lawyer rating service Martindale-Hubbell. Mr. Bodiford has been chosen as a Florida "SuperLawyer" and one of Florida Trend's "Legal Elite" based on voting by other attorneys. Mr. Bodiford is an adjunct professor of law at Stetson University College of Law, where he teaches Florida Criminal Procedure and Trial Advocacy. Why should you hire Joe? Because he has the experience, the knowledge, the expertise, and the resources to help. There is virtually no case or charge that he has not previously defended, and no issue that he has not dealt with in court. After 18 years in the criminal courts, there is no case he is not perfectly suited to handle! With over 18 years of criminal trial experience, and having tried over 100 actual jury trials, Joe Bodiford has to skills and expertise to help you. Combine that with the fact that Joe is a former Pasco County and Tampa prosecutor, a nationally recognized TV legal commentator, a noted seminar lecturer, and a law professor at Stetson Law (the top-rated trial school in the nation) . . . no one could be more qualified to handle your case.